One of Washington DC's best kept secrets is DC Carpet Cleaning's rug cleaning and restoration service, but we're letting the cat out of the bag now, it only seems right to share the love. 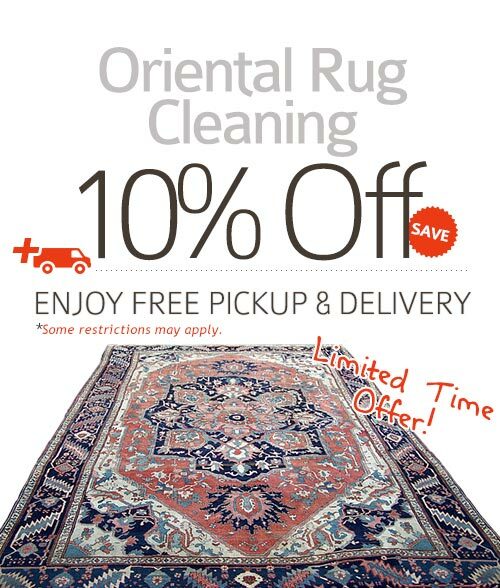 We are without a doubt the rug cleaning, restoration, and grooming rug masters of the Washington, DC area. Our cleaning processes are modeled to imitate traditional cleaning methods, but implemented in modern settings. We employ a staff of men and women who have practiced and handed down the tradition of carpet weaving and care. They are knowledgeable about not only cleaning rugs, but in grooming and repair as well. Rug classification is generally divided into three main categories: Persian and oriental rugs, handmade rugs, and machine made. The Persian classification has more to do with traditional weaving and many are handmade. They are referred to as woven because the manufacturers consider their rugs a work of art and mainly come from Turkey, Iran, Iraq, Pakistan, Afghanistan and to some extent India, Morocco and Libya, among other countries dotting the Middle East. Handmade rugs are sourced from all over and are made by a combination of hands and special sewing machines. Machine rugs are just that, made by machines and are created from synthetic fibers. Some cleaning methods use enzymes and detergents. The advantage to this is the advanced science that goes into ensuring the detergents are safe for the environment. Another popular method is steam cleaning, which sanitizes and rejuvenates your rugs. Rugs that are properly cared for and only need a quick cleaning receive dry cleaning methods, which uses nearly no moisture yet leaves your rugs as beautifully cleaned as the steam cleaning option. Whatever your rug type, it should be professionally cleaned. Why take any chances on the rugs you have spent so much money and energy into buying. DC Carpet Cleaning owns our treatment center right here in DC, where we can treat any type of rug, so we won't be in your way. Our service includes free pickup and delivery. Call now 202-683-4270 or fill in our estimate form.